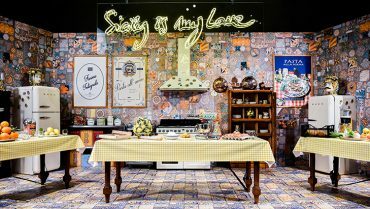 So some days ago, the international brand Dolce and Gabbana (D&G) and SMEG which is an Italian home appliance manufacturer unveiled the ‘Sicily Is My Love’ collection during Milan’s design week 2017. The collection consists of small kettles, toasters, juicers, mixers, blenders, and coffee machines, with intricate designs, oozing with rich colours, traditions and flowers. The two had also collaborated last year to give life to 100 unique limited edition fridges, each of which was sold for about 30,000 pounds. BUT! we would beg to differ. The previous collection, i.e. the fridges consisted of the Sicilian art pieces, motifs, and colours but these do not. At the very first glance one, who knows what Pakistani truck art is, would scream TRUCK ART! This set of appliances, which are definitely overpriced, is definitely inspired by the truck art culture of Pakistan. We are not claiming the rights to the art, art has no borders but a passing comment on how it has been an inspiration would have been thoughtful. If one Googles Sicilian motifs, the colours, the antiques, the placing differs vastly from that which is of truck art. 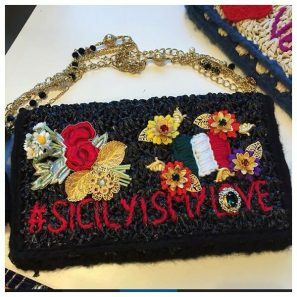 I am no artist, but as far as I know each art form has some characteristics and that of the Sicilian motifs and Truck Art motifs have visible differences. This is just a rant, a way to express that we see what you did there and we disapprove. Our art, like our country, is not to be taken for granted. Period. If you do not believe me, look at the pictures and judge yourself! Such a proud moment that our culture once again reached international standards! They surely have an eye for the worth and importance of this beautiful kind of art. We have a moment to feel extremely glad about it. It is about time that these artists are given a proper recognition. It has become an important part of our culture and we need to take it more seriously! Previous PostBeing a female cop is no walk in the park!